(What Is) The Super-MAD! Mxyz?! ~ Book 1, Ep. 1: Enter Frank Einstein…The MADMAN! of Snap City! ~ Airtime: Jan 29th, 10pm-Mid, EST! Welcome to the inaugural episode of The Super-MAD! Mxyz?! 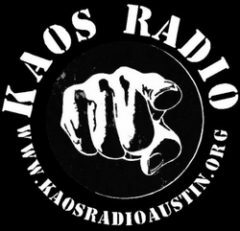 on KAOSradioaustin.org! Airtime for the show is 10pm-midnight (EST), Sunday, January 22nd 29th!!! (2017). 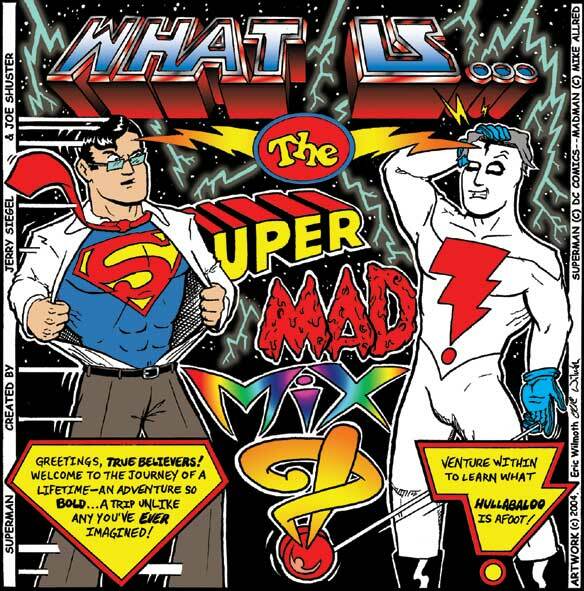 So…just what is The Super-MAD! Mxyz?! In short, it’s a mind-bending, musical journey…following the inter-dimensional exploits of two of Earth’s most amazing heroes: Superman & Madman! We’re calling all Loonies to Tune in and discover for themselves where this cosmic tale of consciousness-altering-consequences leads good ‘ol Clark Kent and Frank Einstein. It’s important to note that this episode is the first in a series, so I’ll be explaining loads more about all of this during the show. For now, you can find more information about this project and discuss it, if you like, on my personal website, Archetypal Images. We’re Excited(!) to have you join us and for you to find out what all the Hullabaloo is about! If you’re inclined to share your thoughts on the show, you can also engage on Facebook! P.S.~ If you can’t stay for the whole show–or miss part of it for some reason–I will soon be setting up an account so that you can listen to the show when it’s more convenient for you. Also, if you plan to listen with headphones, please be aware that some tracks are noticeably louder than others. “Overture, Curtain, Lights,” the intro music to The Bugs Bunny Show. Next Next post: (What Is) The Super-MAD! Mxyz?! ~ Book 1, Ep. 2: Aliens & A.I. (Enter Astroman & Mott, From Hoople!) ~ Airtime: Feb 5th, 10pm-Mid, EST!